Kindergarten is not only a huge milestone, it’s one of the most important grades in a child’s life. You want your child to thrive, to be set up for success, and to love school. Enrolling with New Vision Charter School in Loveland makes all the difference in your child’s growth and education. Why Choose New Vision For Kindergarten? Building positive parent/school relationships is a core value of New Vision Charter School. We believe the partnership between parent and school is key to student engagement, excitement, and positive attitude towards school. Our kindergarten teachers send out weekly newsletters to families, can be reached by email, and are always just a phone call away. You will always know how your child is doing in their academic progress through the use of Teaching Strategies Gold program and progress reporting. At New Vision Charter School we pride ourselves on always communicating the exciting events taking place New Vision Charter School to parents so that they can participate in their child's learning. Our half day program includes exciting, hands on learning to build a strong foundation for your student's academic future. They will receive instruction in reading, writing, and mathematics. At New Vision Charter School we include science and social studies based lessons through our Core Knowledge Reading program, ensuring that all kindergartners get to experience a wide variety of core subjects and global topics. As with our half-day program, our full day program includes exciting, hands on learning that will build a strong educational foundation for your student. You kindergartner will receive instruction in reading, writing, and mathematics. At New Vision Charter School we include science and social studies based lessons through our Core Knowledge Reading program. Full day kindergarteners will get designated science and social studies time to extend their learning about these subjects. Full day students receive time for center based learning, where there is extra time for hands on, small group activities. Finally, our full day kindergarten students receive instruction in specials (Music, PE, Technology, and Art) on a regular basis. At New Vision Charter School we understand that your student's first year of school is going to set them up for the remainder of their educational career. This is why there is such a heavy emphasis on creative, fun, and hands-on learning. Your student will get out of the textbook and be able to learn through engaging lessons that will give them the positive experience they need to become lifelong learners. Our lessons are designed to be hands-on and developmentally appropriate for our youngest learners. Shorter lessons, less teacher talking time, and more time spent exploring new concepts on their own and in groups are what your kindergartener (and you) can expect. New Vision believes in creating lifelong learners who are inspired and curious by the world around them. We implement the research-based Core Knowledge curriculum to make this happen. "The mission of the Core Knowledge Foundation is to advance excellence and equity in education for all children." shrink the fairness gap between the academic achievement of American students living in poverty and that of their economically advantaged peers..
Visit our Enrollment page to see when the next Student Enrollment Parent Information Meeting is. Attend the meeting, and place your child’s name on the waitlist. A lottery will be announced. If your child makes the lottery (which is random), you can then apply to New Vision Charter School. Kindergarten is a child’s first experience with formal education. They learn so much about the world, how to organize information and solve problems, and they grow immensely in their self-worth and confidence, their ability to work with others, and their interest in challenging tasks. In these early years, it is so important for children to begin building a strong foundation of knowledge. Especially in the elementary and middle school years, your child needs an educational environment that helps them grow, prepares them for their academics and life ahead of them, and is one that they enjoy! New Vision Charter School in Loveland is the academic track that your child deserves and your family will love. Learn more about our kindergarten program, and get started with the enrollment process to get on the waitlist. New Vision Charter School utilizes a researched-based curriculum, Core Knowledge. The curriculum is a knowledge-based approach to learning. The Core Knowledge approach places knowledge at the heart of schooling and provides a solid foundation through a content-rich curriculum in every grade level (K-8). Learn more about the Core Knowledge curriculum and the approach to learning by referring to the Core Knowledge website. 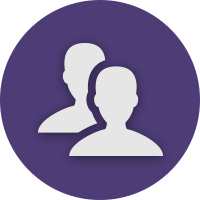 You can also learn more about Core Knowledge by visiting our About Us page. Our staff of highly qualified, professional educators are all licensed through the Colorado Department of Education and are all dedicated to providing every student with a well-rounded, quality education. Your kindergartener will truly love their first time at school when enrolled with our charter school. At New Vision Charter School we understand that your student’s first year of school is going to set them up for the remainder of their educational career. This is why there is such a heavy emphasis on creative, fun, and hands-on learning. Your student will get out of the textbook and be able to learn through engaging lessons that will give them the positive experience they need to become lifelong learners. Our lessons are designed to be hands-on and developmentally appropriate for our youngest learners. Shorter lessons, less teacher talking time, and more time spent exploring new concepts on their own and in groups are what your kindergartener (and you) can expect. Students feel safe and comfortable at New Vision. The safety and security of the students is our number one priority. Various types of safety drills are practiced on a regular basis. The overall security of the inside and outside of the building is monitored through the school office. The Thompson School District office also works in conjunction with New Vision regarding security and safety, and children are under adult supervision at all times. Building positive parent/school relationships is a core value of New Vision Charter School. We believe the partnership between parent and school is key to student engagement, excitement, and positive attitude towards school. Our kindergarten teachers send out weekly newsletters to families, can be reached by email, and are always just a phone call away. You will always know how your child is doing in their academic progress through the use of Teaching Strategies Gold program and progress reporting. At New Vision Charter School we pride ourselves on always communicating the exciting events taking place New Vision Charter School to parents so that they can participate in their child’s learning. If you’re interested in enrolling your student with our charter school, we are honored to hear you’re considering us! All parents should first attend a Student Enrollment Parent Information Meeting to learn about New Vision and submit their child’s name for enrollment. The date and time of the upcoming scheduled meeting are posted on the New Vision Charter School website, under the “enrollment” tab. When an opening becomes available for a child, the parents are contacted by phone and by email. A 48-hour response is required. When it comes to what your child needs and what works for your family, you know best. 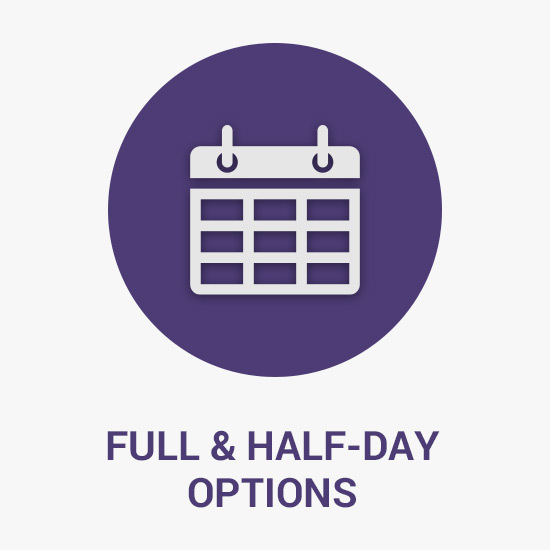 We offer full and half-day kindergarten programs to meet the needs of our families. Our half day program includes exciting, hands-on learning to build a strong foundation for your student's academic future. They will receive instruction in reading, writing, and mathematics. At New Vision Charter School we include science and social studies based lessons through our Core Knowledge Reading program, ensuring that all kindergartners get to experience a wide variety of core subjects and global topics. As with our half-day program, our full day program includes exciting, hands-on learning that will build a strong educational foundation for your student. Your kindergartner will receive instruction in reading, writing, and mathematics. At New Vision Charter School we include science and social studies based lessons through our Core Knowledge Reading program. Full day kindergarteners will get designated science and social studies time to extend their learning about these subjects. Full day students receive time for center-based learning, where there is extra time for hands-on, small group activities. Finally, our full-day kindergarten students receive instruction in specials (Music, PE, Technology, and Art) on a regular basis. Have any questions for our charter school regarding the kindergarten program or ready to start enrollment? We’d love to hear from you! New Vision can make an extraordinary difference in your child’s life. Reach out to our Loveland school at any time, and we hope to see you for the upcoming school year!